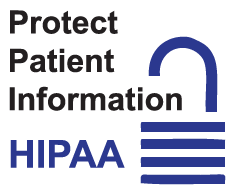 Our family of WellSuite® IV products are compliant with the latest privacy requirements of the Health Insurance Portability & Accountability Act (HIPAA), including the HITECH amendments, and the Genetic Information Nondiscrimination Act (GINA). We also adhere to country-specific certifications and requirements as needed. adhere to the National Standards for Culturally and Linguistically Appropriate Services (CLAS). Our WellSuite® IV health risk assessments for Medicaid and for Medicare and complementary self-management tools are written at an engaging 4th grade reading level. Recognizing health literacy as a public health issue, the Department of Health and Human Services (HHS) developed a national action plan to improve health literacy. The plan outlines large-scale goals for creating health literacy in the U.S. The Office of Minority, HHS developed National Standards for Culturally and Linguistically Appropriate Services (CLAS). CLAS standards are intended to advance health equity, improve quality and help eliminate health care disparities by providing a blueprint for individuals and healthcare organizations to implement culturally and linguistically appropriate services. In addition, 45 states and the District of Columbia have instituted grade-level minimums for written health information and education materials. These grade levels range from third grade in Arkansas up to eighth grade in North Carolina. Each state in the U.S. sets its own literacy standards for information being consumed by its Medicaid population. It is critical to keep state guidelines in mind when providing written health information.